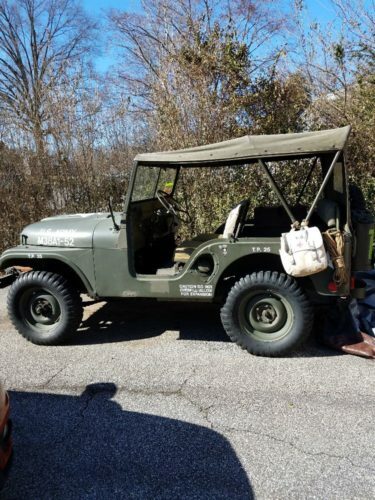 1952 M38A1 Military Jeep. Runs good. Antique registration good until Nov. 2020. Body is in good condition, 2 small rust spots. 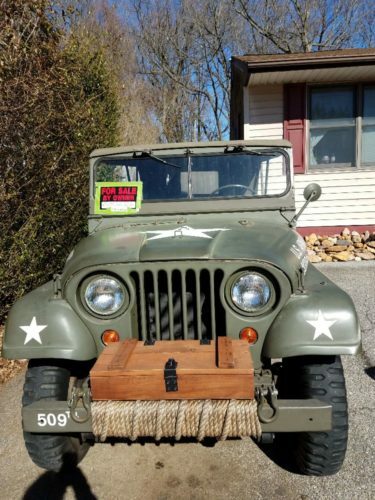 All original except for electronic distributor. Kept original parts. Comes with winter top, no sides. Has tow bar the attaches to the front. Overall condition 8 out of 10. Good military tires. 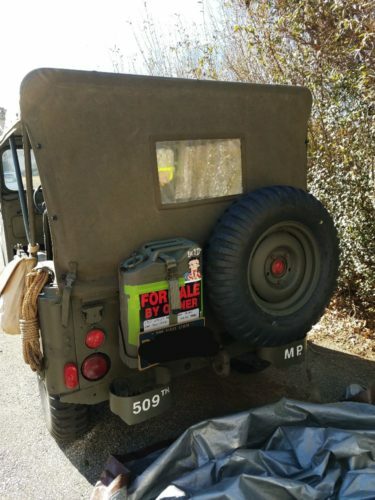 Includes spare tire, gas can,custom wooden tool boxes and 2 military bags.